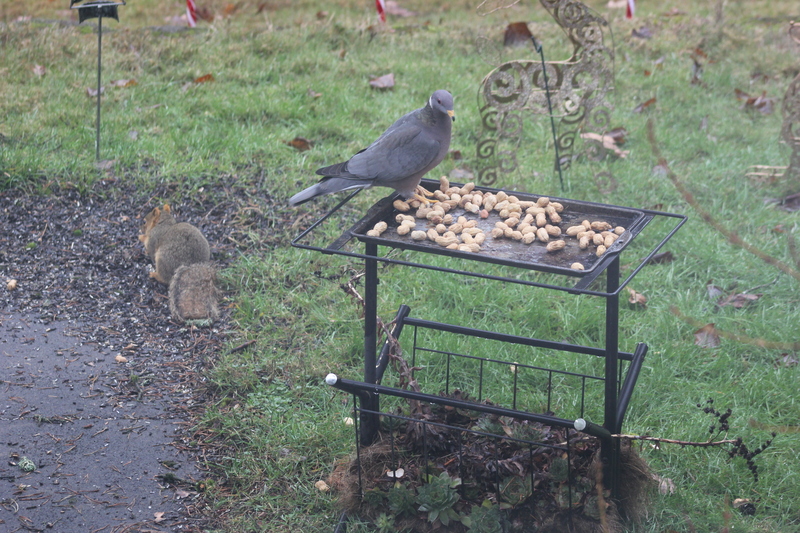 I had this great idea to try feeding peanuts to the squirrels to keep them out of the bird feeder. 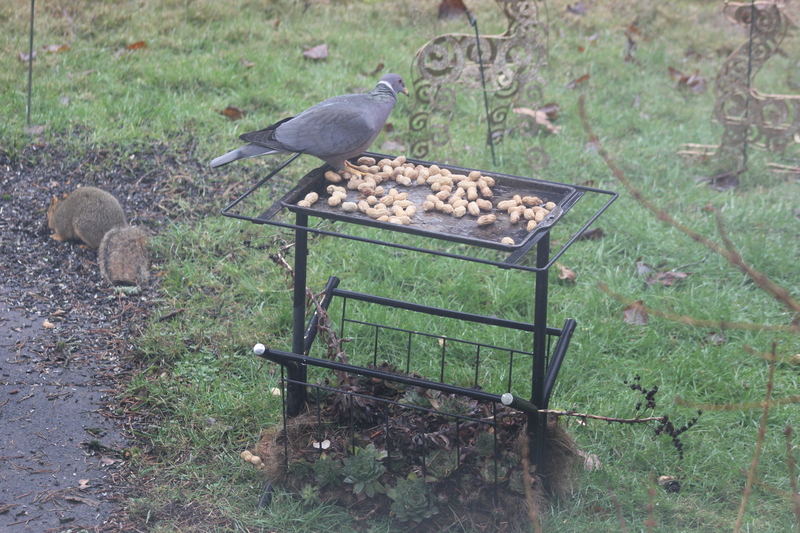 I don’t have a platform feeder, but I figured I could punt (this is how I operate), so I bought a bag of raw peanuts (animal grade) and set up a station. 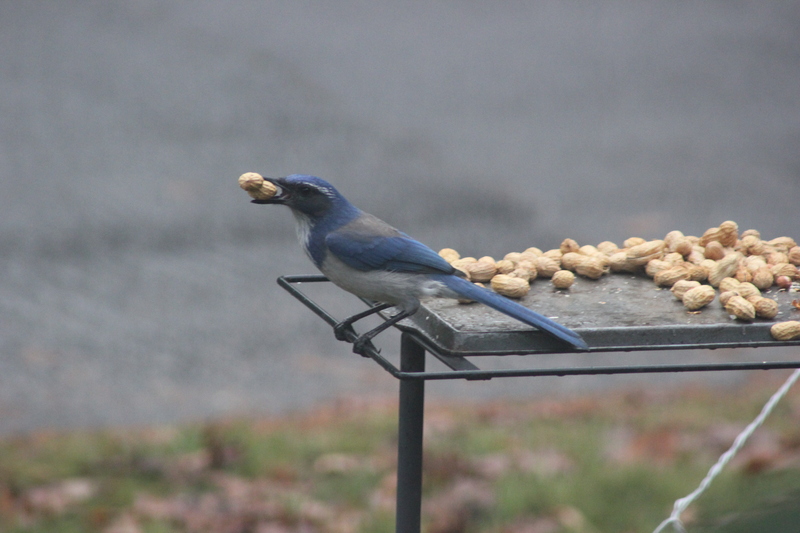 I did not expect to lose my chickadees over this, but they took to hiding for the next few days because of the raucous activity the peanuts brought on. 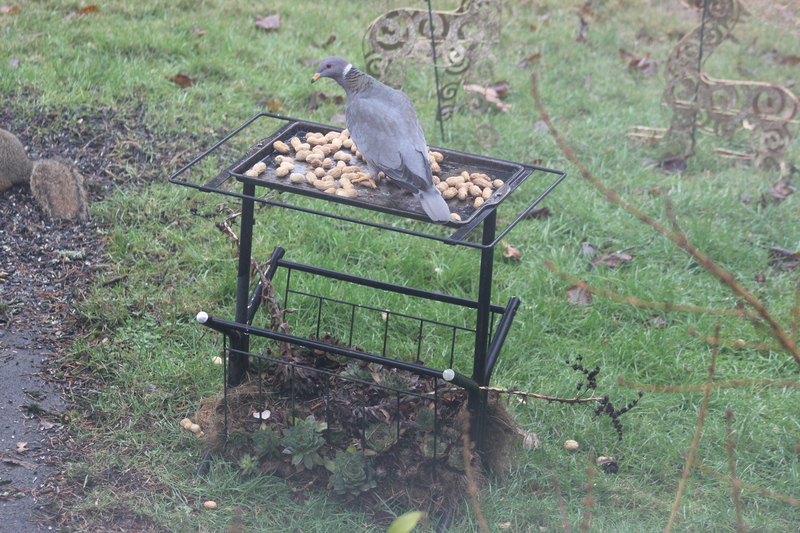 No, the squirrels did not immediately leave the bird feeder full of sun-flower seeds. They were not impressed with my ploy, darn them! I gained three Stellar’s Jays. 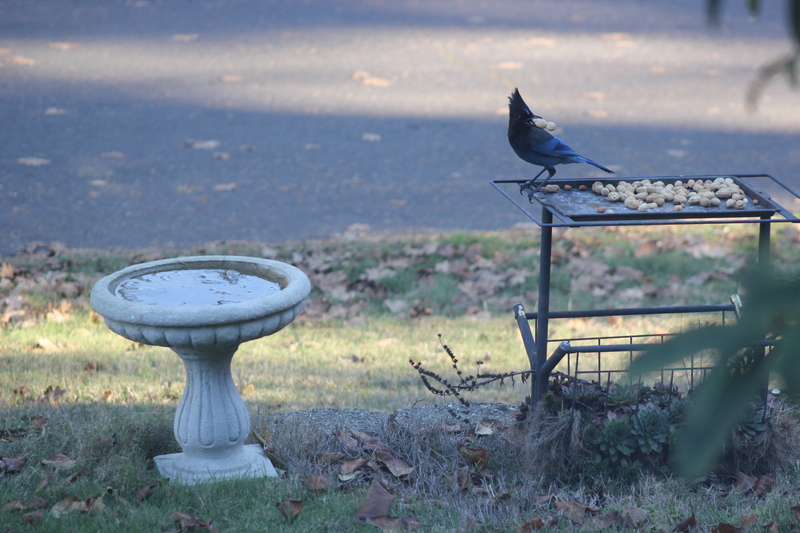 A North American Crow who stopped to steal a few peanuts and to scry his future in the bird bath water. 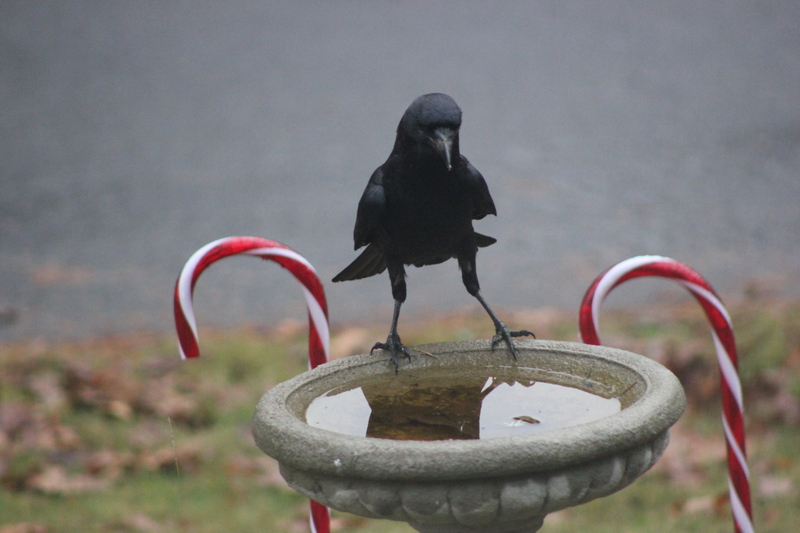 You will note that I managed to get out the outdoor Christmas lights. Since we are on the subject of Peanuts and Christmas, I thought I would share my all-time favorite Christmas song. I know, I know – you are groaning inwardly because you, my dear reader who has followed me for the length of my blog – you know what I am going to post.